Emma Rosa Bigelow, originally from New Jersey, is a dancer, choreographer, and educator in various styles ranging from commercial heels and hip hop to contemporary and tap. Currently, she is a member of Shirlene Quigley's Queendom Crew, Theresa Stone's AbstraKT BEINGS, Chloe Arnold's Apartment 33, and Maurice Chestnut's Dance Therapy. 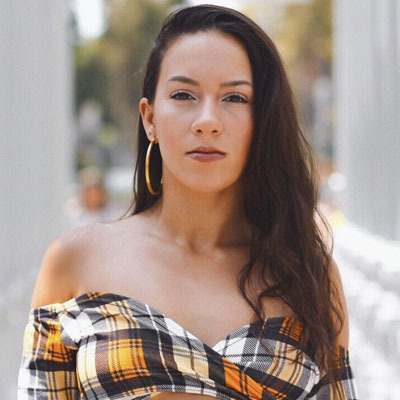 Emma has also worked on VH1's Love and Hip Hop with Mariah Lynn and on music videos for artists including Roc Nation's Neisha Neshae as well as Latin artists Lisenny and Tony Cabrera. She is currently a movement coach for vocalists Vanessa La Verduga and Remi Lewis. She has performed live for sold-out shows at Harlem's Apollo Theater, NJPAC, Jacob's Pillow, and the Highline Ballroom while working with artists such as Savion Glover, Ayodele Casel, and Michelle Dorrance. Emma continues to create and express through videos, live performance, and in the classroom.